Gorki Luis Águila Carrasco is a popular musician in Cuba. In 2003, he had just produced an award-winning video, and a radio station in Havana announced that Gorki was the third most popular rocker in Cuba. Then – at a rock festival in Pinar del Río in April 2003 - he was suddenly arrested on charges of drug trafficking. Four months later, on 15 August 2003, the controversial Cuban rock artist was convicted and sentenced to four years imprisonment. His constant challenge to free speech in Cuba was silenced. During the brief trial, where Gorki’s attorney did only have ten minutes to present his client’s case, the Counsel for the Prosecution did not present convincing evidence. The circumstances leading to his arrest were such that no evidence of drug trafficking was presented. On October 17, 2003, Freemuse launched an international campaign for the release of Gorki Carrasco, and requested the Cuban government to reconsider the doubtful court case against him. In the eyes of the Castro regime, Gorki Águila is guilty of far worse charges. He is "guilty" of saying what he thinks. He is "guilty" of having both a sense of humor and irony. He is "guilty" of making music that questions authority. He is "guilty" of speaking out for freedom. He is "guilty" of associating with human rights heroes. He is "guilty" of revealing the truth that the government in Cuba is afraid. 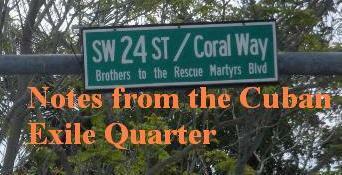 Over the past half century of the Castro regime any one of the above charges was punishable by either long prison sentences or even death. 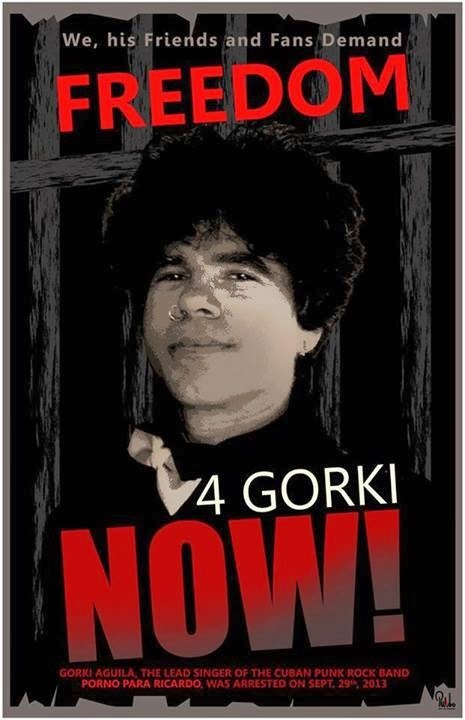 Gorki Águila needs international attention and solidarity to provide protection for his life and freedom. On September 30, 2013 officials arrested Gorki and confiscated medication prescribed to him by a Mexican doctor for epilepsy that the Cuban punk rocker has suffered with since childhood. The most serious charge facing Gorki Águila of which he is guilty, is being a free Cuban in totalitarian Cuba. That is why people of good will need to demand freedom for him now and demonstrate their solidarity!